To blog or not to blog: that is the question–at least if you’re a fiction writer in today’s market. With some conflicting advice floating around the web, guest author Jason Kong shares his advice on how fiction writers can maximize their blogging efforts. Storytellers who blog have it tougher than most. There’s just not a lot of help out there. I don’t mean good advice doesn’t exist. 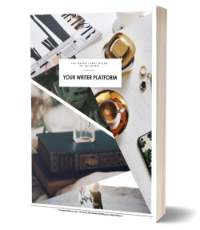 If you’re an author, plenty of blogging resources are available online — including here on Your Writer Platform. The challenge is that many strategies are specific to non-fiction writers. While there is definite overlap, not all approaches work for their fiction counterparts. Ignorance of these differences may cause your blog to flounder. The reason why non-fiction writers benefit so much by blogging is that they can demonstrate their authority. By sharing their valuable ideas in a blog, they’re attracting the people who care about those insights and can have a waiting audience when a book is published. For a fiction writer, the process is different. Any blogging you do before you have a published story will have a different focus: entertainment and engagement. The impact may be more difficult to measure, but you are still laying the foundation for your most important marketing element–your stories. Non-fiction authors are trying to solve a problem, fiction authors are trying to fulfill a desire. Both are compelling reasons for readers to want to connect. The best way to have people interested and loyal to your storytelling is for them to be wowed by some stories that you wrote. Your blog is just a tool to facilitate that fascination. Which means that your most effective blogging doesn’t precede your story creation, it accompanies it. The stories you write should always be at the heart of your platform. Your blogging contributes to reach and discoverability. Just remember, if a blog is a way to connect with readers, make it worth connecting to. Your stories are your business card, so the best marketing strategy for fiction authors is more brilliant stories. Publish good stories. And also blog. Don’t reverse your priorities. Many of us view blogs as being about something. You blog about running a business, or how to grow an organic garden. For the non-fiction writer, your blogging follows the topic. Very straightforward. This angle doesn’t work so well for fiction writers, because the subject is less clear. Is it the author? The books? Even if it’s one or both, indulging too much in these areas may appear too self-promotional. The solution is to start with the type of folks you’re trying to connect with. That may be other writers, your friends, or people who read your stories. Identifying this group is a crucial step to making your blogging work. Because once you decide that, you’ll understand what to blog about, how frequently, and in what style. You’ll know what to do to attract these people and keep their attention. Gaining traction will be easier, and sustaining momentum will be more promising. If your work is very diverse, you may be better off having separate blogs for separate followings. Just consider the extra work involved. When you focus on writing for a group of people united by a common interest, you can go deeper and have more impact. If you write to be read, that’s the point, right? Many bloggers are obsessed with ‘the numbers’ as a measuring stick for success. How many are subscribed to the blog? How many social media shares for the latest post? How many clicks did a particular page get? It’s a never-ending cycle of trying to push the numbers up; a tempting activity especially if you’re just starting out. The trap is that your attention is squarely on the people not yet following you, causing your blogging tone to be desperate or read like a sales pitch. You end up trying to convert everyone, instead of having a meaningful discussion with those who will truly enjoy your book. Not only is this unpleasant for you, it’s ineffective as well. If you’re trying to build a fiction readership, focus your blogging on people who already care. Remember, your audience’s enthusiasm comes from the stories you publish. Blogging can intensify the interest that already exists. You can rally the readers that enjoy your body of work. When you have stronger bonds with your fans, they become more motivated to have conversations around your writing. They’re more likely to recommend your books and post reviews, which will help your discoverability. Having evangelists and customers praise your stories on their own accord is the biggest endorsement there is. People uninterested in you and your work won’t be the main readers of your blog. Targeting them doesn’t make sense. Instead, focus on the passionate and give them reasons to be even more fired up. Much of business is transactional. You do something for me and I’ll do something for you. There’s no deal until we agree upon the exchange of value. When you post, you’ve presented an offering that’s available for anyone to consume. You won’t always know who’s reading and who’s been touched. You can’t control how the message spreads or if it does at all. So why not be generous? Whatever the answer is, those are the ideas for your posts. Maybe they’ll get a kick out of some dialogue that never made it to the final publication. You can suggest having a book club around one of your books. And of course, since your audience cares about what you say, updates on your latest work are also relevant. Support the people who are supporting you. Because it feels good. Because you get to be interesting and creative. This is the type of connection you’ll treasure in the long run. I can say with a fair amount of certainty that you have some proficient blogging skills. How do I know? Because you write fiction. There are elements to your storytelling that captures attention, invokes curiosity, and gets a reader to keep turning the pages. Imagine if you bring that special sauce to your blogging. After all, people read your stories for a particular kind of entertainment. If you can invoke that same delight in your blog, people will be compelled to hang out. Readers already look to you for an experience that only you are capable of giving. Blogging can be an extension of your storytelling magic. And if you do it right, you’ll receive the same thrill blogging as you do when writing one of your stories. Now that would be nirvana. Which of these five ways to blogging mastery do you feel will help you most? 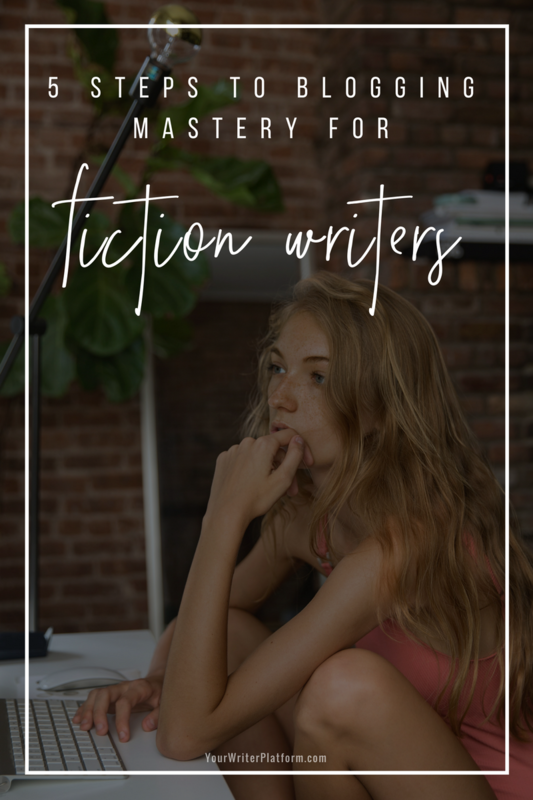 What other blogging insights do you have that pertain specifically to fiction writers? Jason Kong (@storyrally) helps fiction writers with their online platforms. Thanks for your comment and noting your experience, Warren! Warren: Glad you liked the article. Out of curiosity, how many blogs do you have and what led you to create each one? I enjoyed the article very much. I have blogs but haven’t used them much. It’s simply too time consuming and takes me away from my writing. I picked up a few ideas in the essay above and will probably improve my marketing (I use that word carefully). Dennis: You’re absolutely right in weighing the time spent blogging vs. your main writing. I don’t think blogging necessarily has to take a ton of time, however. Even periodic, short update posts will be appreciated by fans of your work. Mentioning a discounted launch price matters to the people who want your next book. If your blogging is relevant and beneficial to your fiction fans, then you’ll find that effort worthwhile. That’s different than simply saying the more time spent blogging, the better off you’ll be. And of course, the most important factor to getting that audience is to work on your storytelling. Which you obviously know. Great article! This would have helped me immensely when I first started my blog: hautemind.com. I am writing a novel and when an acquaintance who used to work in publishing suggested I start a blog, I had no idea what to write about. What I’ve realized is that it gives me an outlet for ideas and interests unrelated to my novel and that I enjoy the instant feedback. It also is a great way to test out how your audience response to a particular topic or style. Ashley: Yup, often you just have to put the words out there and see how people respond. Blogs are great for that. Is your novel shaped/influenced by anything you’ve done in terms of blogging? One of the underrated aspects of blogging is that if you have regular readers, you won’t want to disappoint them. The habit of posting regularly will push your writing and research to get better — as you said. Great post! I could have used this advice a long time ago, but better late than never! I’m always wracking my brain trying to come up with topics. But I like this approach better. I can be more creative and just plain do more with my blog. Thanks! Mel: You’re welcome! I’m happy you found the post useful. Hi Kymberley and Jason, Thanks for this post! So many blogs are based on non-fiction elements. SUCH a help for someone to address the fiction writer’s needs in the blogging universe! Blogging about my writing journey and about the stories is what I’ve been doing. I assume, however, the posts will be interesting someday to the increasing number of fans of my fiction — or at least, I hope that’s so. Scott calls his fans “Junkies.” He gives away plenty of free content including audiobooks and short stories. His blog posts includes pictures and videos. His blog also has a forum where the Junkies can hang out. 1) The answer isn’t to exactly duplicate what Scott has done, because that’s what works for him and his fans. Every author needs to have his/her own thing. 2) Scott didn’t get those fans just because of the blog. The interest revolves around the stories he writes, and the blog is built around that. Thanks for taking the time to comment, Laure! It is sometimes a struggle to find compelling content for fiction blogs because, as Jason points out, it’s not necessarily ‘topic’ driven. 1) How engaged are their readers? For example, are there lots of shares/comments on each post? Does the author respond to comments? Do the commenters have ‘discussions’ in the comment section? 2) How often are they posting, and what is the length and quality of the articles? Are they consistent, or sporadic in their posting and content? 3) What topics, ideas or themes are running through the posts? Are written posts the most popular, or is the author increasing engagement through videos, images or podcasts? Is there an interactive component, like contests, giveaways or ‘ask the reader’, to encourage feedback? 4) Who makes up the the target audience? How does the author address them (polite/formal, friendly)? How does the author attempt to meet the needs of this audience? 5) When you arrive at the author’s site, what’s your immediate impression? Is it inviting? Or more business-ish? Does the feel and tone of the site meet your expectations? Do you feel like you can connect with the author one-on-one, or do you feel like you’ve just reached the author’s storefront? 6) From everything you’ve gathered in your research, what would fit best with your style? Can you add your own flavour to some of these ideas and build upon them? You may find, Laure, that every fiction author has their own approach and it’s difficult to see a pattern to follow for success. In fact, I don’t believe there is a ‘one-size-fits-all’ solution. But if you look through several other fiction sites, I’m certain you’ll be inspired to find a path that will work for you. I’ve got 3 blogs, and let me tell you, it’s work. I’m fortunate (?) enough to write both fiction and non-fiction, so adding blog posts is pretty easy. And it’s also easy maintaining 3 blogs now that I’ve chosen not to post to them each day anymore. Greg: The posting frequency question for blogs seems to be an endless debate. The sweet spot seems to be enough to keep both you and your core following happy. Whether that number is daily, weekly, monthly, or something else depends on your context. So yeah, a post a month seems like a long time generally speaking. But I’m sure it works for some bloggers out there. Very helpful article, particularly with the focus on how fiction writers should go about blogging. It gave me some fresh perspective on the whole thing, in a good way–to keep my sights on meaningful discussion with interested fans. That’s great, Hal! Thanks for chiming in. Blogging is a slippery concept for fiction writers, but Jason has outlined some great guidelines to keep us on track. Glad you’ve found it helpful! As to my own approach – when I was writing my second novel Peccadillo, I’d post samples from the work-in-progress on my blog. Similar, now that my third novel Rogue is with beta-readers, I posted the first chapter as a sample, so readers and future readers can be engaged before the book hits the market. Another thing I do is blog about Amsterdam. Since the series is set in Amsterdam and I cannot go into too much detail in the books (which would drag down the pace), I write articles about Katla’s Amsterdam, where I show pictures of specific locations from the book and give some extra information. The only thing I should do is blog more. I’m currently posting about once every two or three weeks, and I think I should double my blog output, say, two articles every two/three weeks. Thanks for your article and keep up the good work! Martyn: Thanks for sharing some really good examples of using your blog to connect with your readers! Thank you for this post. No wonder my own blog felt stilted and un-natural. I was approaching it like a non-fiction writer. Don’t know why that didn’t occur to me, but still I’m glad I came across this post. You can write for yourself, you can write for others, and you can do both. Just keep in mind that if the “others” are your readers (or potential readers), then you’ll want to post stuff that’s interesting/meaningful/worthy for them. Great practical advice – I really enjoyed reading this post. Thank you. Teagan: I’m happy that you enjoyed reading it, and I’m really happy that you find it practical! Hope you find what you’re looking for, and I’d be happy to help if I can! It is pretty cool that bloggers like you are sharing this with all the blogger community. Well, Thanks a lot for your words and sharing your knowledge. Thanks, Gautam! I appreciate it! Great article! You’ve confirmed something for me, I think. My primary blog (one of four… dropped one, do the other two sporadically…) is about the travels my husband and I are having as we roam the country in our RV. I don’t post to the blog with the regularity of a diary or journal. Instead, some posts are months after a particular adventure. I’ve found this gives me time to reflect on the experience, distill it, find the best few photos (sometimes out of hundreds taken), and write it as if I were telling a story. When my next book comes out, it will be based on a previous travel adventure, and will tie the two together so readers can begin to see how the two feed each other (the real-life RV travels and the fiction that emerges from it). I completely agree that blogging is another way to flex writing muscles and to hone craft. My own fiction has gotten much tighter, more descriptive, and the voice is much more casual and — I’d like to think — inviting, because of blogging. Thanks for your question, Ellen. Reasons for using a blog are varied, and how you choose to use it is completely up to you. What’s important is that you get the results you want. If you are using your blog to document your travels, note and hone ideas for future books, strengthen your writing ‘muscle’ and entertain your readers – and it’s doing exactly that – then you are not ‘mis-using’ your blog. If, however, you are getting limited engagement (little commenting, few subscribers, no social sharing of posts) and low numbers of visitors to your site, then it’s time to do some experimenting to better satisfy the needs of your current and future readers. Good luck with your blog and your future book, Ellen! Ellen: I agree with Kimberley in that there are many ways to blog, and the best one depends on what works for your goals. Timely posts only matter if the timeliness is part of the value people seek, such as news reporting. It sounds like the way you’re doing it is working, especially when your up-front about the actual date of the event you’re writing about. I am a blogger and loved your blog. Surely will take some inspiration from this article. I loved this article. It has been just 48 hours that I launched my blog and I got more than 150 page views and the numbers really are addictive. I so agree to the point in the need of gaining more views and likes, one tends to have a desperate tone in their writing. I was just writing a story right now but I think I am going to scrap it now as it does have the needy tone. Thank you so so so much for this article. It will be nice if you can check out my fiction blog on http://fictionfrat.blogspot.in/ and give me your invaluable feedback. Well done, Priyanka, and congrats on the launch of your new blog! 1) It’s fine to get your feet wet with a free hosted website (like Blogger), but if you’re serious about building your writing platform, I highly recommend you consider getting a self-hosted site. For more info on this, read this article. 2) You have a tiny spot to capture readers’ email addresses (which is better than nothing), but see if you can’t make this more prominent. Building your email list right from the get-go is super important. Here’s a post on how to build your list.